With the holiday shopping season in full swing, many people are purchasing new “toys” which can access the Internet via a wireless connection. Whether the new toy is a laptop, a phone, or a notepad, setting up a wireless connection is fairly easy. Our phones at the TDS HelpDesk get really busy this time of year. To help you set up devices on your own, I thought I’d offer you some quick links to help you find the right information. 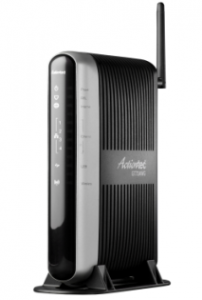 First, make sure your Internet modem supports wireless service, and the wireless service is enabled. Here are directions on how to do that on the two most popular modems that TDS offers, the Actiontec 704 and 724. To set up a new laptop to access a wireless connection use this handy quick start guide. Accessing e-mail from your laptop can be done one of two ways: use an e-mail client, such as Outlook Express, or TDS Web Mail. Here are the Instructions for setting both types of e-mail access. If you got a new smart phone (Android or iPhone), and you want to set it up to access your TDS E-mail, use these instructions. Setting up new devices can sometimes be a challenge. That’s why TDS offers 24X7 technical support. To get in touch with us, call 1-866-492-6797. You might want to add that number to your phone quick, just in case you need us. If the challenge is really tough, TDS also offers Remote PC Support. With this service, a TDS tech will set up your home network for a fee while you sit at home and watch us do the work on your PC remotely. Did you know Groupon has a gift section? And other “gift event” ideas. Well in many places the internet speeds provided by them are good but some places have very weak signals that creates hurdle for the internet users. Speed consistency & reliability should always be ensured.